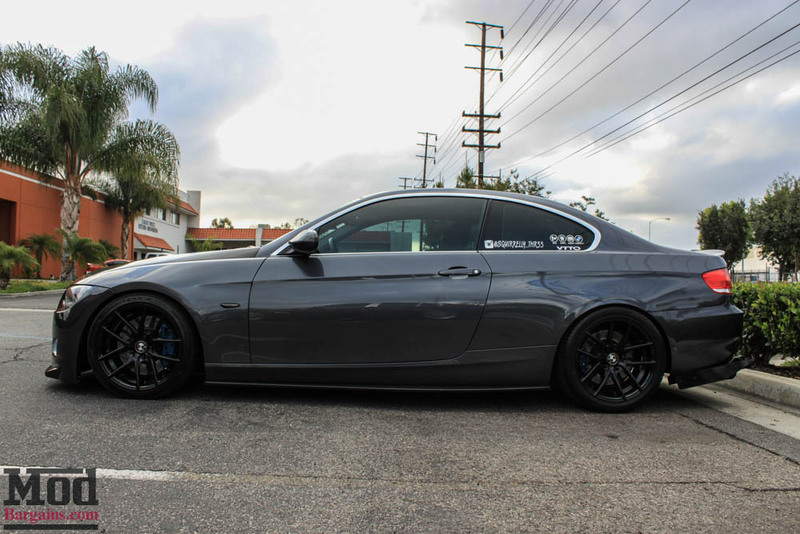 With March Madness in full effect, we kinda missed March, but no time for crying over spilt milk- we’re back again for April with Nelson Rios super clean E92 BMW 335i. 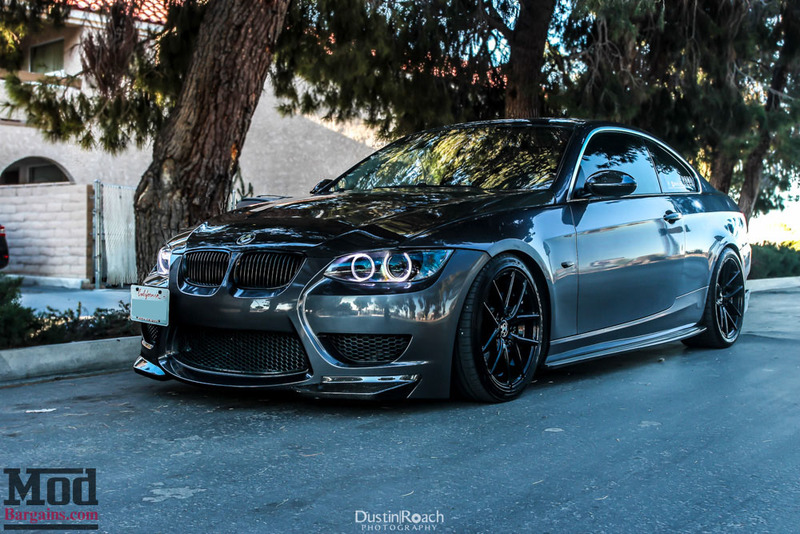 Nelson has been working with Sr Mod Expert Alan Wei for quite some time and over time, this has evolved into one unique 335i. Nelson’s got quite the following on instagram ( follow @Squirrelly_Thr33 + @ModBargains on instagram, and #modbargains in your pics to appear in the feed in the lounge instantly) and we can see why. 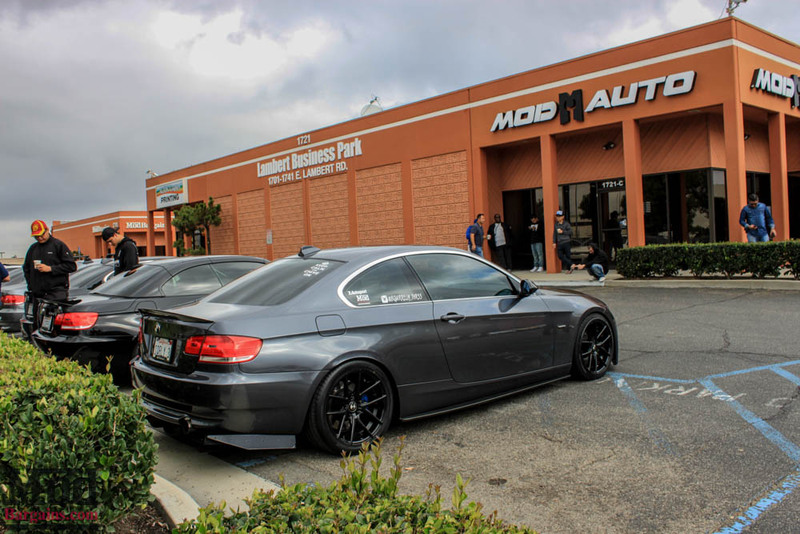 “I bought my 2008 E92 BMW 335i in January 2013, not long after that I had my first experience with ModBargains. I remember my first purchase from ModBargains was a set of H8 fog light bulbs and some vinyl overlays for my emblems. 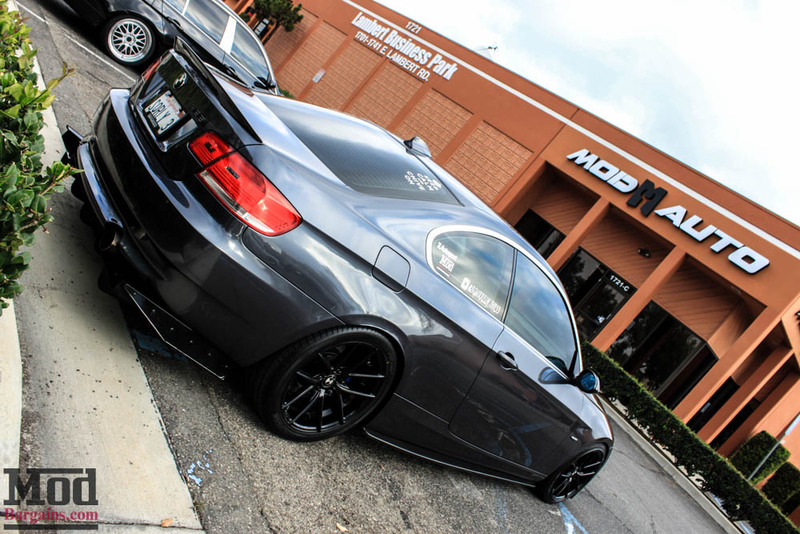 Probably about a month later, I caught the “Mod bug”, and this was also my first experience in buying expensive parts for a car in the form of my Carbon Fiber GTR Vented hood and Injen Dual Cone Intake System for N54, and thankfully Alan was there. Alan answered all of my questions, gave me advice and suggestions for my build and really made me feel like I was an important customer. 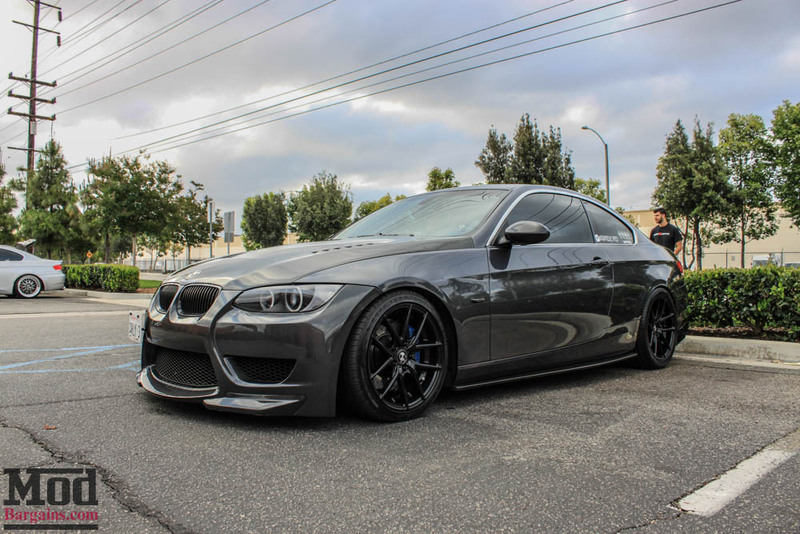 Again, after a couple months, I felt I needed to do more to my car and yet again Alan was there to help me decide on what parts to buy including my AR Design 3″ Hi-Flo Catted Down Pipes and my AE Performance Cat-Back Exhaust system. To this day, Alan is my go-to guy at ModBargains because he understands the route I am trying to take with my build, I believe we spoke over the live chat for almost 2 hours about making a change to my car with a new front bumper. He gave me all the details about the two that I was looking at, gave me his personal experience with them and when I finally decided on the SEA Style Front Bumper for E92, he made sure to hold the last one they had in stock so I could pick it up the next day. So there you have it, Nelson’s recap of his experience working with Alan and the team here at ModBargains and nothing makes us happier than knowing our customers are comfortable referring us to their respective enthusiast communities – as enthusiasts ourselves, that’s of paramount importance to us. 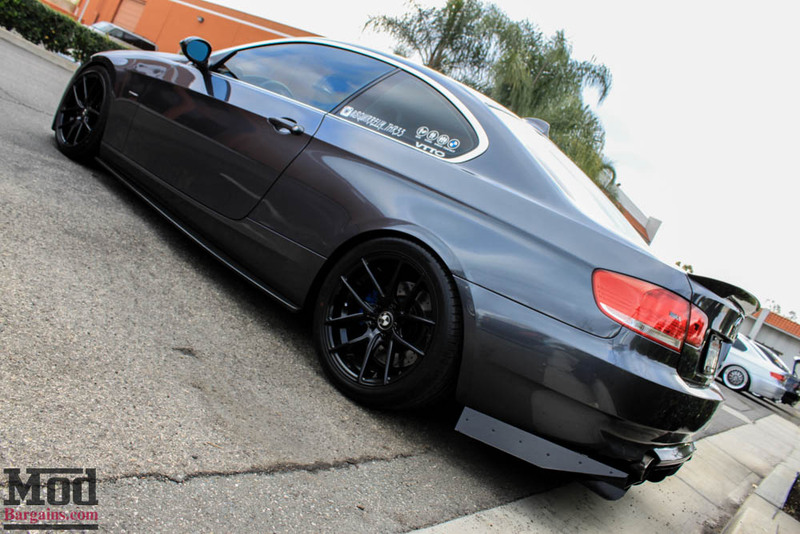 Interested in getting more out of your BMW? Talk to the Mod Experts like Alan – give us a call at 714-582-3330 today (x8006 for Alan), email [email protected] or chat live with the experts at ModBargains.com. Thanks to Nelson for letting us be a part of the build and for choosing the Mod Experts for his build. 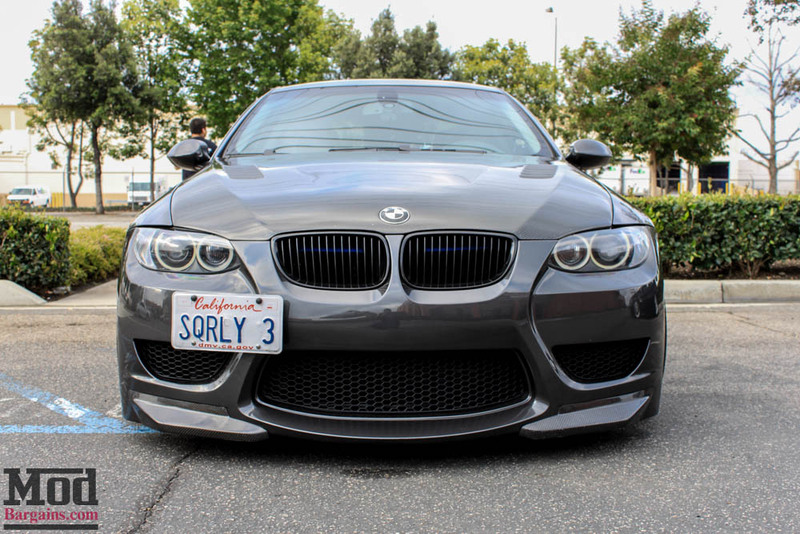 Updated 5/28/15 – We shot some great photos of Nelson’s 335i at our meet, so of course we had to add them to the feature. Enjoy!